An alleged Mexican-based drug trafficker is among dozens of people facing state and federal charges after authorities seized heroin, fentanyl, marijuana and more than a dozen weapons in a series of raids on Chicago’s West Side. 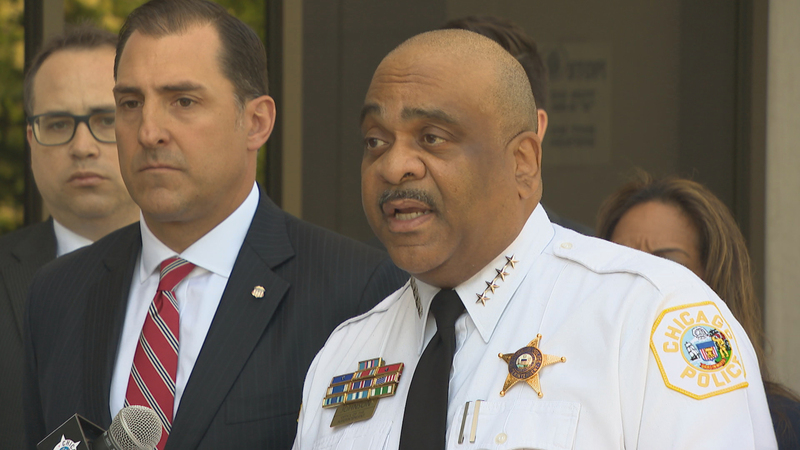 More than 50 people now face criminal charges following a multi-department investigation dubbed “Operation Full Circle” that is targeting drug couriers and dealers in the Harrison and Austin police districts, according to Chicago Police Department Superintendent Eddie Johnson. “These missions are an important piece of how we fight crime, by sending a message to those who serve as a driver of violence that we will come after you with everything that we have,” Johnson told media during a press conference outside the department’s Austin District headquarters. CPD Superintendent Eddie Johnson speaks to the media Wednesday, June 13, 2018. In total, 57 people face criminal charges ranging from drug trafficking to illegal weapons offenses. Of those, nine face federal charges. U.S. Attorney John Lausch said the operation, which began last year, involved dozens of agents across CPD, the Drug Enforcement Administration, Bureau of Alcohol, Tobacco, Firearms and Explosives and the IRS. Through their investigation, authorities recovered two kilograms of heroin, one kilogram of fentanyl and 300 pounds of marijuana, along with 17 illegal firearms and about $8,000 in drug sale proceeds. One target of the operation, 60-year-old Krzysztof Rak, is believed to have moved “wholesale quantities” of fentanyl from Mexico to Chicago and Northern Illinois. Rak has not been arrested and officials believe he is currently back in Mexico. Rak worked with Christopher Doss, 47, a Racine, Wisconsin-based drug courier, to distribute the narcotics, according to charging documents. Law enforcement used a wiretap to track a March 2018 meeting between Doss and 45-year-old Ivan Walton, in which the former allegedly supplied the latter with nearly 900 grams of fentanyl. Federal officials detailed several arrests made during the operation in criminal complaints. Two men were arrested after fleeing authorities prior to an alleged drug deal and tossing narcotics out the window of a moving vehicle, according to charging documents. Another man, 30-year-old Tekoa Tinch, allegedly agreed to carry out a kidnapping in exchange for drugs and a split of any cash recovered from the planned victim. Authorities say they set up a meeting at a grocery store in Little Village between Tinch and an undercover officer, who handed over a kilogram of cocaine as a purported “down payment” on the kidnapping. Many of the arrests were made Monday and some suspects have already appeared in court. Lausch described the suspects as “mid-level” distributors who worked with local sellers.